You may have heard that GoGeomatics Canada is hosting a National Conference called GeoIgnite in Ottawa, from June 18th to 19th. This inaugural event will bring together senior members of the government, business executives, and thought leaders in the IT and location technology sectors. There are also plans shaping up to host a career event to be co-located at the venue. The theme for GeoIgnite 2019 is “Leadership, Innovation, and Next-level Technology” and it promises to showcase some of the latest innovations and the next generation of disruptive geospatial technologies. I reached out to Jonathan Murphy, the prime mover behind GeoIgnite, to learn a little more about the event and who should attend. Ted Mackinnon: Congratulations on the GeoIgnite Conference announcement. 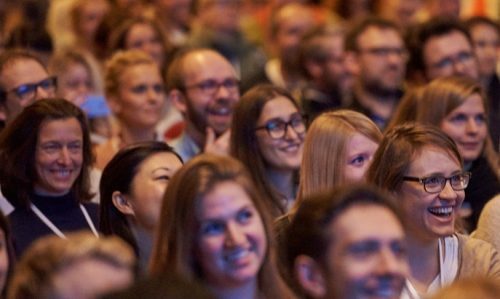 What is the conference about and what makes it special? Jon Murphy: Thanks Ted. GeoIgnite is an effort to bring together everyone who has a stake in the current geospatial digital transformation. If you’re in the sector, then you know that developments in Geo Blockchain, the Geospatial Cloud, Machine Learning and Artificial Intelligence, Smart Cities, and autonomous vehicles are built upon geospatial foundations. That’s transforming how we work, live, and learn. These transformations are only going to speed up. Ted Mackinnon: What do you mean by Canadian Geospatial Foundations? 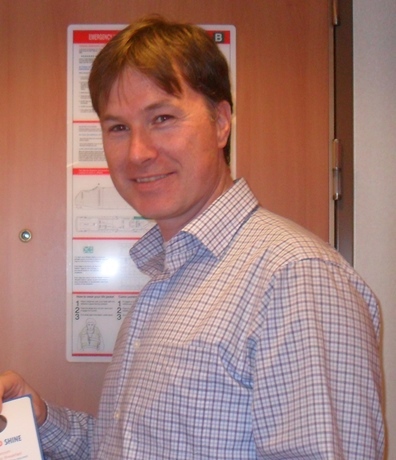 Jon Murphy: A year ago I got really into reading about “Smart” technologies and Smart Cities. A big part of that is sensors. Sensors are all around us now and the number of sensors is growing quickly. Our cell phones are sensors and as we walk around with them we broadcast our position. That’s a major new source of information data that just did not exist a short while ago. We as users, and other sensors, are curating location information and making it available. Another massive change will be the new 5G networks. That will transform the amount of data we can pump out and collect. 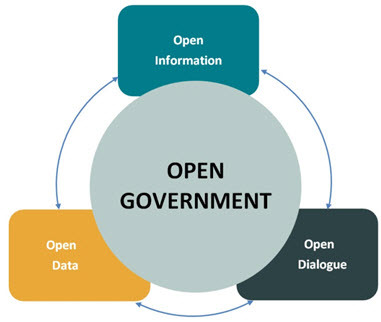 All of this is made possible through the early work on open data and standards the geospatial community pioneered. Much of that pioneering work was done, like the first GIS, in Canada. Ted Mackinnon: GoGeomatics has not held a conference before. Why did you decide to start with a National Conference? Jon Murphy: That is true; we have never hosted a full-blown conference like this on our own before. Until now, we have concentrated on professional networking events across Canada under our own brand. You can see some of our networking activities here. However, we have several years of experience organizing major events; running high profile geospatial events was how I cut my teeth at the start of GoGeomatics Canada. Our first major client was TECTERRA from Calgary, for whom GoGeomatics organized an event called Investing in Innovation: Geomatics Growth & New Opportunities for Canadian Companies, in Ottawa in 2011. Later on, we also helped organize other efforts to bring the wider geospatial community together under the auspices of the Canadian Geomatics Round table. Ted Mackinnon: Who have you been talking to about the conference? Jon Murphy: Last year our first big public discussion on the subject of a conference was with the Ottawa GoGeomatics group. I presented some of my ideas about the conference and the conference Advisory Committee. You can read more about that here. 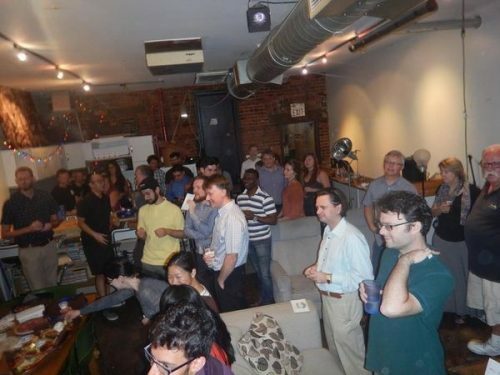 We have always been very open about the event, and actively soliciting participation. One of the first large organizations I talked to was NRCan, and in particular, the Canada Centre for Mapping and Earth Observation (CCMEO). Natural Resources Canada is responsible for land-related sciences and geospatial information within the federal goverment. The CCMEO is the department takes care of that geospatial information component, so it made sense to engage with them as quickly as I could. Prashant Shukle leads the CCMEO, his efforts and vision have been key for the geospatial community. Knowing that I began discussing the conference idea as soon as I could. Beyond NRCan, the conference has picked up a lot of interest. I’ve sent one GeoIgnite emailer soliciting participation in the conference and received hundreds of submissions, half of them from government folks here in Ottawa. Also, I’ve been getting interest from the USA and Europe. Ted Mackinnon: How did you go about picking the conference committee members? Jon Murphy: I asked key professionals to join the committee. I have my own overarching goals but I wanted to ensure I had committee members with distinct perspectives from mine, people who I knew would challenge me. I’d met John Roos through my work with DigitalGlobe, and his input has been instrumental in the business and trade-show portions of the conference. John has been to most conferences and events in Canada for the last ten years or more. He knows the good, the bad, and the ugly, of geomatics conferences in Canada. Bilyana (Anicic) I met through Andrew Moore of the Federal Geospatial Platform (FGP). Bilyana is the architect of the FGP and has been identifying key content for the conference. I reached out to Will (Cadell) of Sparkgeo through his articles (“Geospatial Analytics Will Eat The World, And You Won’t Even Know It”) in Forbes. I connected with NRCan through the work GoGeomatics has been doing on communications and strategy for the CCMEO. Amina (Deiab) has been going to the GoGeomatics socials in Edmonton since they started. Amina has specialised in innovation, science and environmental policy. Ted Mackinnon: Who are the keynotes? Jon Murphy: Nice try, Ted. It’s a secret for now, but I will say is that they are both important players in the geospatial community here at home and abroad. Our opening keynote is Canadian and the other is from away. We’ve had a lot of interest from exhibitors and speakers. If organizations want to exhibit, present or sponsor they should sign up here. I will get in touch with them. Ted Mackinnon: What companies can benefit the most from coming to GeoIgnite? Jon Murphy: The companies that will benefit are those that are looking to engage with goverment and other companies in this space. If you are on the cutting edge of technologies–those that deal with big data, and those that provide services to government–you want to be here. Anyone looking for visibility at the federal level in Canada (provincial and municipal as well) will be in front of the audience they want to reach. The government folks have asked me to make sure we invite companies that can help them grapple with the future. If you have services or data products, you should be at GeoIgnite. Ted Mackinnon: Who from the government should attend? 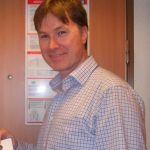 Jon Murphy: We will see two separate kinds of people from the government: first of all, technical specialists and managers in geospatial and location technology because they will want to see the latest developments between the different departments. They also want to see the developments from industry. As well, policy analysts and executives who are trying to figure out what this technology means (AI, Blockchain, virtual reality etc.) for policy and process. We will have specific tracks for specialists to really nerd out, but we will also have a lot of high-level information that will position participants who know little about this new tech to walk away with an understanding of these technologies. Ted Mackinnon: A core component of GoGeomatics is professional networking and other resources aimed at helping young geospatial professionals. 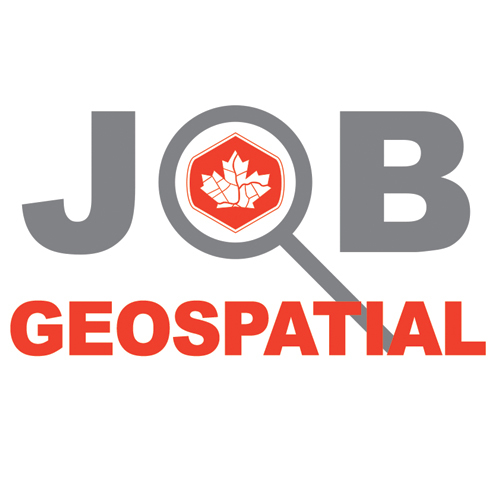 You are Canada’s geomatics career coach. How will you bring that into the conference? 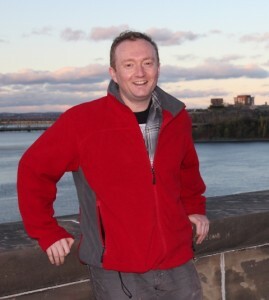 Jon Murphy: I have been giving career seminars and providing career coaching since 2010. Much of that was built upon my own experiences as a young GIS technologist trying to get my first few years of experience. It can be hard to find your first job and move up the career ladder. We’re organizing a separate career event for students, new graduates, and job seekers. I’ve been talking to the local colleges and universities about hosting a separate co-located GoGeomatics Career extravaganza. This is still in development, but in a nutshell, it would be on the first day of the conference and feature recruiters from government and industry looking to hire. It would also feature mentoring opportunities and workshops with my career strategies. This is a shout out to everyone in the community: I’m inviting students from the area to come to the GoGeomatics GeoIgnite Ottawa social at James St Pub, February 19th at 6 pm. We will be talking about the conference, and specifically about this career event. Also, I’m hoping folks who want to mentor the next generation of our geospatial sector will come out. I’d like to form a group of volunteers to organize this event. Click here to RSVP for the event. Ted Mackinnon: Have you engaged with the CIG, URISA, CRSS, and the Professional Surveyors of Canada on the conference? Jon Murphy: I want to take this opportunity now to invite all the associations to have a free booth at the GoGeomatics Career Event and present to all the students and grads who will come. I hope they take the opportunity to engage and network with the participants. They can showcase the benefits of having a membership within their network. Ted Mackinnon: Is there anything else you would like to add before we close our interview? Jon Murphy: I would like to thank all our sponsors, staff, volunteers, clients, and participants of GoGeomatics through the years. None of this would be possible without them. GeoIgnite is part of a tradition of strong ‘Community and Collaboration’. I hope to make new connections and learn a lot more about what our Canadian geospatial foundations have helped to build. I hope to see you all there! To get more information on GeoIgnite 2019 sign up here. Ted is a highly motivated professional with over 20 years of seomatics experience (GIS, Remote Sensing, Cartography, LIDAR and; GPS Surveying) in Private Industry, Academics, Non Profits and Government. His diverse background obtained through a combination of experiences from data acquisition, data creation, analysis, problem solving, customer service, technical writing, project management, program development, supervising and networking has fueled his career over the years. He continues to inspires the younger geospatial community to be highly involved the industry and helps bring other professionals together to learn more about Canadian geographic information.